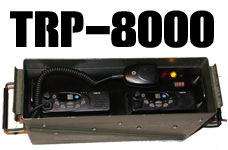 Timberline Radio Systems supplies Two Way Radio and Repeater systems for all types of construction sites in both Urban and Rural environments. 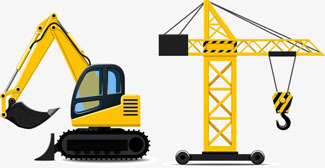 No matter where your project is situated, we have a solution that will suit your fiscal budget and site requirements. Timberline Radio Systems is pleased to present ICOM's newest, Slim Pocket Sized, fully submersible, waterproof rated IP6 7 IC-F1000 Series VHF & 2000 Series UHF Portable handheld. 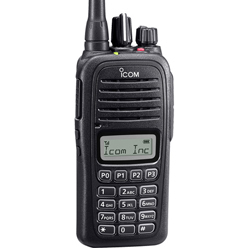 The F-1000/2000 Line is ICOM's answer to the Light Weight Handheld Industry. This Military Grade Handheld is cost efficient and as reliable today as it will be in ten years. ICOM Built it to last and we've put it through the test in some of the most rugged conditions yet! Rated IP67, Waterproof and fully submersible, Forestry Workers, Back-country workers, Truckers, Loggers, Miners and Oil Field Workers love this light, portable pocket sized handheld that comes as a complete package including a Long Life (1750 Mha) battery! That's good for a whole day of Talking and Working! Accessories include an external mic, and External Power Supplies. Some even use them to replace their Mobile Fixed in's when they're moving from vehicle to vehicle. One of the Best buys out there, this isn't just a Two way radio, it's Submersible and Waterproof to a depth of 6 feet for nearly half an hour! Take it anywhere from the mountains to the ocean ! It even fits in your pocket! Submersible / Waterproof up to 6 Feet Underwater!